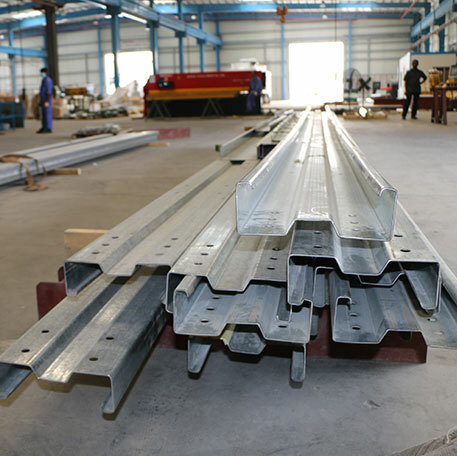 100% Pre-fabricated at the factory, which means no extra labor costs or wastage of materials. 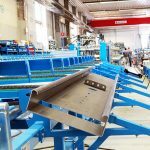 No need for on-site welding or fabrication. 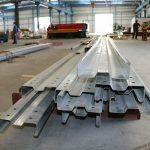 The design, fabrication and erection of COLD ROLLED STEEL frame construction is economical and effcient and is essentially lighter than hot rolled steel and Built-Up structures. (Lighter= less cost). The system is value engineered and offers more accurate estimation data. Faster manufacturing time compared to hot rolled Built- Up Systems means buildings can be completed and occupied in shorter times, with, reduced scope of climatic delays and reduced site disruption. Assembled using nuts and bolts (supplied) which allows shorter construction and erection time. Dry wrapped/covered structure can be delivered quicker, allowing other traits to move in and proceed. Specifc software is used to design and ensure the structural integrity of light steel frame structures. Once the design is complete the data is fed directly into a cold roll forming machine by Tekla Software that produces and ensures accurate and consistent quality C sections. Bolt holes are punched online at the factory. 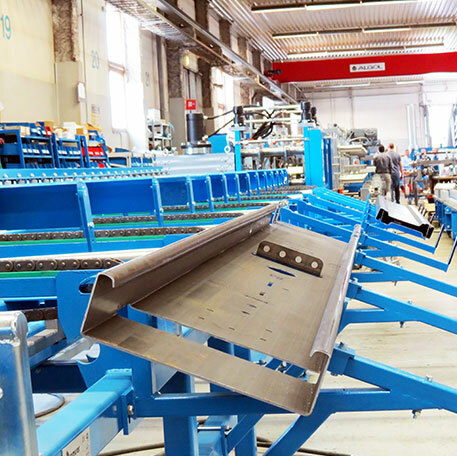 Controlled environment for galvanizing steel with certifed mill certifcation. Frame system designed for all types of cladding such as single skin panels, insulated composite panels , aluminum composite panels, rockwool panels, and light weight concrete anels (EASYPANEL). Full drawings provided with each building for easy assembly. Bolted connections means the building can be disassembled and reassembled again. Steel is 100% recyclable and is considered a green building material.